One of those words you hear so often that you feel like you know what it means, but when you really think about it, it gets pretty vague. Except for Vitamin C of course, which you definitely know (1) is a vitamin (2) is found in fruits like oranges and (3) may help a bit when you’re having a cold. Companies put them in their products so you’ll think their product must be healthy. We’ll have a look at some of the most important things to know about vitamins. So we can get you from an ‘I think I kind of know what vitamins are, but when I really think about it I actually have no clue’-situation to an ‘I have a solid base that helps me in everyday life’-situation. Vitamins are substances, compounds, that we get from our food and that our body needs to function properly. Unlike e.g. carbohydrates or fats, vitamins are not used for energy. Vitamins have very specific tasks in our body. And every different vitamin has different tasks, lots of them. Something that helps grasp what vitamins are, is the simple fact that there are 13 vitamins in total. Nothing to be intimidated by, just 13 of them: Vitamin A, B1, B2, B3, B5, B6, B7, B9, B12, C, D, E, K. If you ever hear or read anything about vitamins, it’s about one of these 13. Just keep in mind that the names may sometimes be different. Vitamin B7, for example, is more often called Biotin. Furthermore, a single vitamin can have multiple names, as it may exist in multiple forms, called vitamers. Vitamin D can exist as vitamin D2: ergocalciferol, or as vitamin D3: cholecalciferol. They’re both vitamin D as they both have the same function in our body. Every different vitamin has a different role in the human body. Although vitamins do not provide energy themselves, they do help the body transport, produce, use, and store energy. Vitamins help protect our cells by getting rid of dangerous toxins, help our blood clot and our wounds heal, keep our skin healthy, our brains working and much more. If we’d imagine our body as a house, vitamins would be the tools that help us make and repair the house. If you’re missing certain tools, although the house won’t suddenly fall apart, it will deteriorate over time. Some tools are missed more than others, but they’re all necessary to keep the house standing strong. Where do we get our vitamins? Most vitamins are ‘essential’, which means that our body cannot synthesise (make) those vitamins itself, so we must get them from the food that we eat. Some vitamins are semi-essential, which means that our body is actually able to produce the vitamin itself, in small amounts. Unfortunately, we can’t just take a bucket load of vitamins on January the 1st and be done with it for the rest of the year. Aside from the potential overdose, we can’t store vitamins for that long. Vitamins A, B12, C, D, E and K can be stored for some weeks or months, the others can’t be stored at all. That means we’ll have to get them through our diet continuously. Different foods contain different vitamins. Which is why we need to vary our diets with different types of nutrient-rich foods. 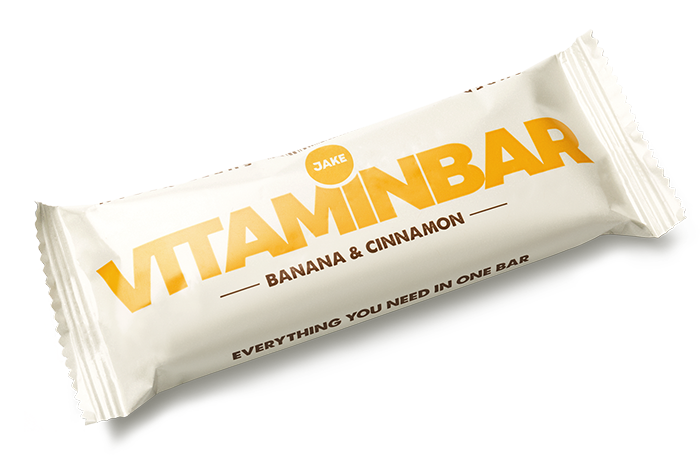 Which vitamins are found in which foods, you’ll find in this Jake vitamin booklet. There’s a lot of juicy information available about overdosing on vitamins. But the fact is that, as long as you’re not supplementing with stupid amounts of vitamins or eating polar bear livers for breakfast, the chance of you getting a vitamin overdose is negligible. So we’ll end on that note for now. To help us on our way, governments make sure we get our supplements. Right after you were born, you got a megadose of about 1000% vitamin K. In many countries, dairy products are fortified with vitamin D, bread is fortified with a multitude of B-vitamins, salt is iodized and water is fluoridated (a kind of controversial practice). We’ll have a closer look at vitamin D deficiency in our next post. For now, I can recommend this fact sheet if you’d like to learn more about vitamin D and this article just to make sure you won’t worry too much and stock up on vitamin pills (don’t). Jake Light and Jake Original provide you with at least 33% of every vitamin per meal. That means that 3 meals of Jake Light or Jake Original would provide your total requirement of vitamins for the day. This doesn’t mean you have to eat 3 meals of Jake per day. But, when you do eat a meal of Jake, you get exactly the right amount of vitamins in for that meal. As Jake Sports is based on 4 meals a day, 1 meal of Jake Sports provides 25% of every vitamin. If you’re curious to read about the vitamins in Jake, what they do, where you can find them and how much of it is used in Jake, check this pdf or click on one of the booklets below. You can compare the nutritional values of each version of Jake here.